We begin the posts of Thomas’s diary with a triple entry to get us up to date. 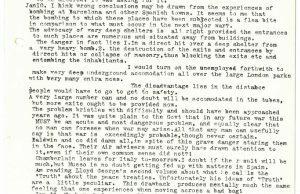 It is clear from the diaries that thoughts of war were very prevalent at this time. 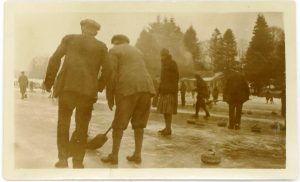 However, of more interest in the first entry for 1939 is the weather, which was very cold, and the results of local curling matches. 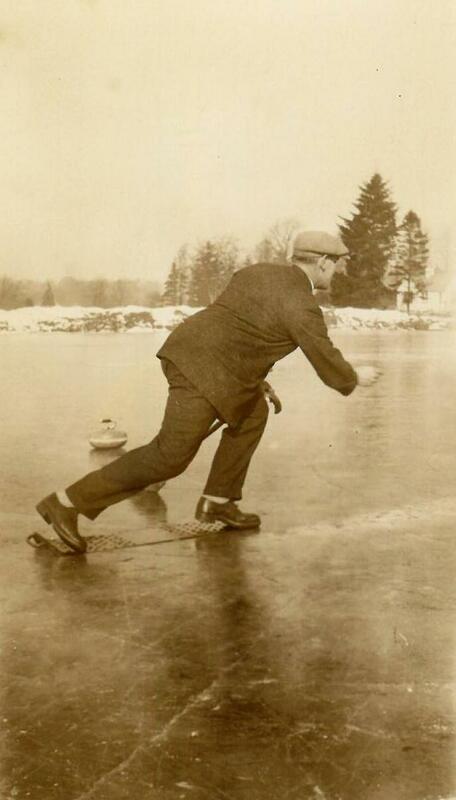 Curling was very popular locally and many large houses had their own curling ponds in the grounds. 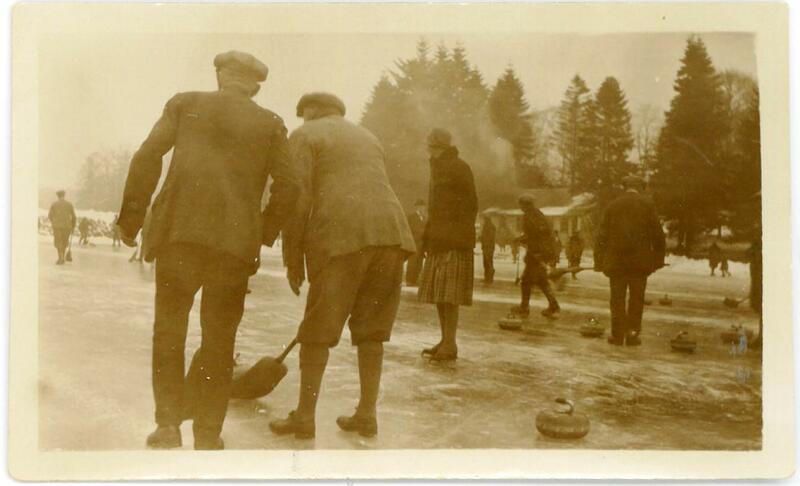 The reference to a thaw preventing a match being played indicates that all curling at this time was played outside and was only possible when the weather allowed it. Throughout the diaries Thomas shows himself to be extremely open-minded and keen to find out more about various issues. 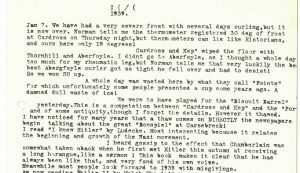 Here he writes about reading a book concerning Hitler and his rise to power. It should be said at this point that, as a veteran of the Great War, Thomas is not overly fond of Germany and he clearly has little time for Hitler. 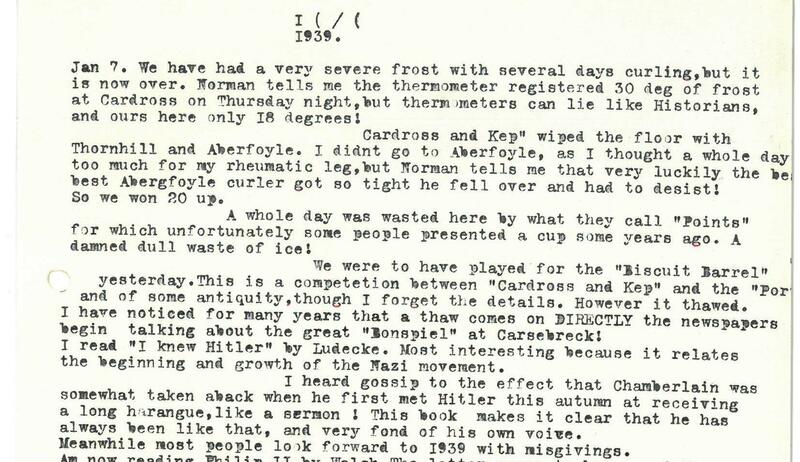 His sentence ‘most people look forward to 1939 with misgivings’ indicates how concerned many people were at the international situation at this time. 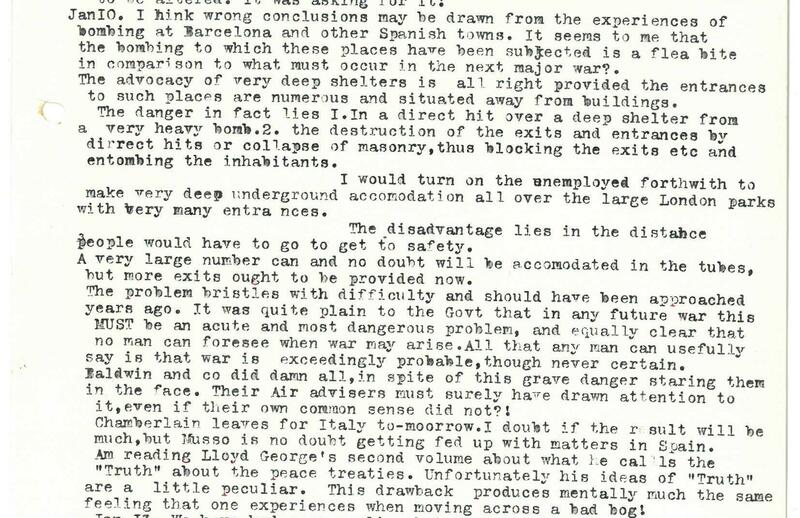 The diary entry for 10th January refers to the Spanish Civil War and then discusses the problem of providing air raid shelters in Britain. It must have been clear that the danger of aerial bombardment was great and Thomas is entirely correct in assuming that this was going to be a huge issue. His views on what should be done appear quite controversial to us now but this attitude towards unemployed people in this time of depression was not unusual. 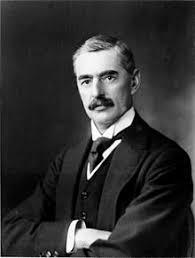 Thomas refers to Chamberlain’s meeting with ‘Musso’. 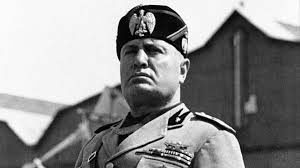 Benito Mussolini was Prime Minister of Italy. In late 1938 and early 1939, Mussolini was keen to meet with representatives of the British Government with a view to making an agreement over trade and obtaining British mediation in Italy’s quarrel with France. Chamberlain visited Rome with his foreign secretary Lord Halifax in January. No deal was concluded and Italy’s ties to Germany was strengthened as a result. Thomas has a low opinion of Mussolini as will be seen in later diary entries. These entries give a good idea of Thomas’s robust style. Although he is writing for himself and as a consequence is open and candid in his views, he addresses the diary as if it is to be read by other eyes. The diaries are very fresh and punchy in style and make for good reading. I hope that our readers are going to enjoy Thomas’s cogent and often wryly amusing thoughts about the period leading up to the Second World War.